A list of all the recipes Danielle R. has tested. Does it get any better than grilled corn slathered with lime mayo, cheese, cilantro, and hot sauce? Nah. A milder alternative to the classic basil pine nut pesto, this requires just toss spinach, roasted almonds, Parmesan cheese, lemon juice, and olive oil in a food processor and buzz until smooth. Ten minutes and you’re done. Here’s how to make microwave chicken stock or broth in the microwave. It’s easy. And inexpensive. Not to mention incredibly quick—done in 10 minutes. Wowsa, right?! A simple, quick, easy, cheap side that’s making kids as well as adults demand seconds. Yes, seconds. Of broccoli. You’re welcome. So lovely you’re not even going to notice that they’re vegetarian. But your guests will appreciate that fact. And you’ll appreciate the taste. Grilled carrots. They’re a backyard grilling game-changer. And they’re gonna revolutionize your weeknight side dish situation in the best possible way. Yep. Barbecue pickles. They’re essentially just store-bought dill slices doused with hot sauce, garlic, and cayenne pepper. Wait’ll you try them. Rubbed with spices and grilled rather than battered and fried, these fish tacos are so easy, so healthy, and so something we want to make again and again and again. We explain how to make and use chocolate for piping and drizzling and decorating with letters and squiggles on cakes and cookies and whatever you fancy. You’ve no doubt heard the hype about turmeric being anti-inflammatory and healing. But the reason this turmeric lemonade rocks our world is its beguilingly subtle collision of earthy and spicy and sweet. 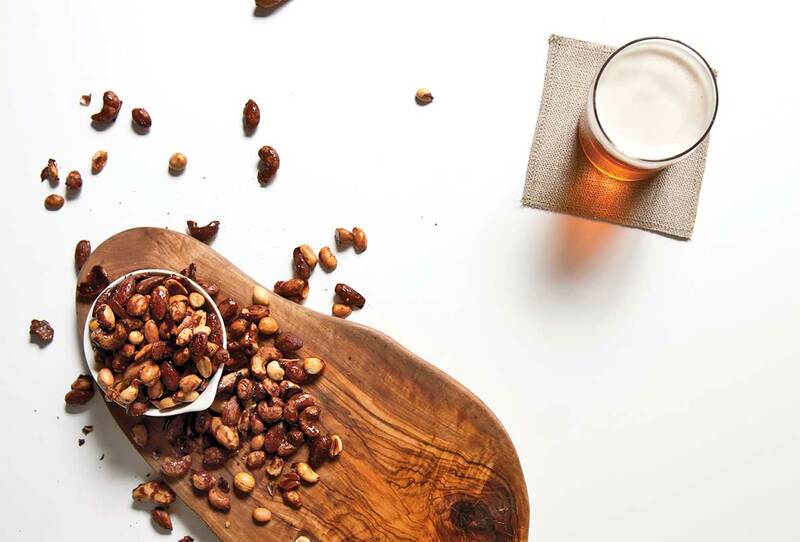 Slightly sweet, subtly complex, and insanely easy homemade beer nuts. Unlike anything you’ve ever experienced. Beer sipped on the side not optional.